Become a full-time, professional Online Marketer with this 6-Week (live) group intensive coaching program, accompanied with 6 months of one-on-one marketing mentorship and a bonus 2-day intensive workshop (tickets for next live event and immediate previous event video footage included). Self-reliance will be a result of mastering the most valuable skill-set in the Digital Economy: MARKETING. 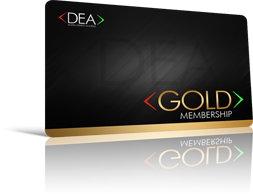 The ultimate objective of your GOLD Membership is for you to learn how earn a full-time income as a digital marketer. In order to help you accomplish this goal DEA uses its reach and influence to bring in the top Digital Marketing experts in the world. You get access to their training and mentorship as part of your ultra-exclusive GOLD Membership. This is training that is simply not available to most individuals. In addition to your 6-Week intensive coaching program and one-on-one mentorship access, you will also receive a bonus ticket to the next 2 day Gold Digital Marketing Workshop, which is held multiple times a year in various locations around the world in a small workshop type setting. Attendance to these events is limited in order to keep them as interactive, intimate, and impactful as possible.